How do I handle naptime at daycare? This is a question I get asked all the time. My answer will begin by discussing who should be taking a nap. Any child under the age of four should be taking a nap at daycare. The older the child, the shorter their naptime should be. This chart will provide you with a general guide for naptime at daycare. As a daycare provider who has to deal with naptime at daycare, I’ve had many parents come to me and state that they feel their two-year-old does not need a nap anymore. Since the child won’t go to bed at night, he must be getting too much sleep during naptime. This is not true. Naptime for any child under the age of four is important for two reasons. One, their body is growing at such a tremendous pace it needs the rest time during the day. Two, a child’s mind is absorbing so much information all morning long that it, too, needs the quiet time to catch up. If a child under the age of four is fighting sleep time, it most likely is not associated with too much sleep, but rather needing a better, more consistent routine. Make sure you put the child down for a nap at the same time every single day. And, it's extremely important that the daycare nap schedule is the same as their weekend schedule at home. At any given time, I can have three Pack 'n Plays set up that I use for napping the kids under the age of two. 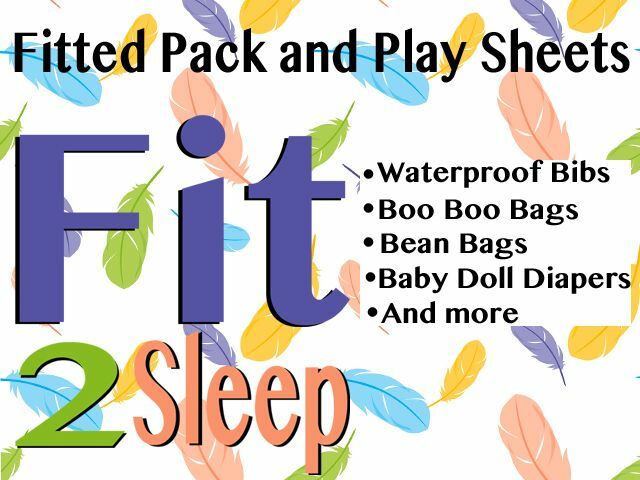 The best place I have found to buy fitted sheets for my Pack 'n Play is an Etsy store called Fit 2 Sleep. This store has a good quality product and great customer service. I have ten children in my care all day, every day. I put six to eight kids down for a nap every day. Some bedrooms have two or three kids napping in the same room. Not a single kid cries when I put them down. They fall asleep within ten minutes of when I lay them down. And actually, it’s an exciting time for the children when I holler, "It’s Nap Time!" I put the children down in shifts. I have four bedrooms that can be used for naptime. I start by putting the four youngest children down for their nap at 1:00 p.m. Infants and toddlers are taken to bed by me. Preschoolers are taught to run to their beds when I announce that it's naptime. Each child gets individual time from me. This includes tickle time and an affectionate "Good night. I'll see you at snack time!" I play music for them. All bedrooms have a CD player. If the child is old enough to help, they push the button that makes the music play and then we run to the bed together. I leave the room by shutting off the light and closing the door. I wait ten to fifteen minutes to give the first shift of children a chance to fall asleep and then announce to the rest of the children needing a nap that it’s their turn. They know to quietly enter the appropriate bedroom because someone is already sleeping. We talk and joke quietly. I tickle them and joke about having to stay quiet. I say good night and tell them I’ll see them at snack time. Then I leave the room. "Yeah, right. Easier said than done." It can be done. But it has to all start before the actual naptime at daycare begins. Like I stated earlier, after the initial training period none of these kids cry at naptime. And none of these kids fight their naptime. They don’t cry because they know from experience that naptime is not an option at my house. I keep the routine light-hearted and positive so that naptime is not a punishment for them, it’s simply expected of them. When they are new to my daycare, there might be days when they fight their nap because that is what they are used to doing. If they get up out of bed, I calmly take them back to their bed. All I say to them is that its naptime and they must return to the bed. I will do that as many times as it takes for them to stay in bed. I explain to them, the longer they continue getting out of bed, the longer naptime will be because, no matter what, they will be taking their nap. After about two weeks, they’ve witnessed my consistency and realize there is not use fighting it and fit right into the routine of all the other napping children. The children who are four or five years old in my care are not required to take a nap. They are, however, required to take "quiet lay-down time" to lie on the t.v. pillows and watch the movie. It’s important for their bodies and mind to get quiet time also. And if their body decides it needs a nap, they accidentally fall asleep during the movie. "How to Stop a Biting Child"
"Getting a Toddler to Share"
"How to Feed a Picky Eater"